Below is a table of all the closing times and opening times for the gates and access points throughout the year. Below this table you will find the camp opening and closing times (The gates at the camps). Please note that these times apply to all the camps in the Kruger Park, whether its a Rest Camp, a Bush Camp, a Private Lodge or a Tented Camp. As mentioned above, heavy fines are given to anyone who is late arriving at a gate (Whether its the Gate to Biyamiti Bushveld Camp or the Paul Kruger Gate), so please adhere to these times and make sure you have enough time to reach your destination. The Crocodile Bridge entrance gate to the Kruger National Park is situated at the Crocodile Bridge Rest Camp and can be extremely busy most of the year. In the school holidays and over long weekends, expect to wait a few hours unless you get there 45 minutes before the gate opening time. 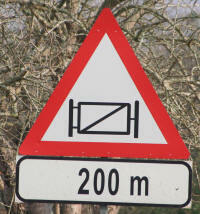 The Crocodile Bridge Gate is approximately 9 kilometers from the town of Komatipoort. Below is a list of distances between the Crocodile Bridge Gate and other areas within the Kruger National Park. The Malelane entrance gate into the Kruger National Park is the southern most gate in the Kruger and sees a lot of traffic. Its 426 kilometers from Johannesburg and is very close to the Berg-en-Dal Rest Camp and Malelane Private Camp. The Numbi Gate in the Southern part of the Kruger National Park is the closest gate to Nelspruit and other major cities in South Africa and is only 9 kilometers or so from the Pretoriuskop Rest Camp. Below is a list of distances to other areas in the Kruger National Park from the Numbi Gate. The Pafuri gate which enters the Kruger National Park is the furthest north gate in the Kruger Park. It is also by far the quietist gate in the park in terms of people entering and leaving. The staff at the gate are by far the friendliest in the Kruger National Park and by far the most helpful. The Pafuri gate is 149 kilometers from Musina. The Pafuri Gate is approximately 9 kilometers from the private Outpost Lodge. Below is a list of distances from the Pafuri Gate to other places in the Kruger National Park. 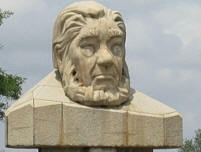 The Paul Kruger Gate, also known just as the Kruger Gate, is named after the 5th president of South Africa who reigned from 1883 - 1900. He played a trivial role in helping conserve and protect the area now known as the Kruger National Park (Formerly the Sabie Game Reserve). This gate receives the most traffic out of any gate in the Kruger due to it's close proximity to Skukuza. The Phabeni Gate is the closest gate to the town of Hazyview, and Pretoriuskop and Skukuza can be accessed from here as they are fairly close. This is my favourite gate in the Southern section of the Kruger because of the great roads, namely the S1, S3 and S65. The Punda Maria entrance gate is very close to the Punda Maria rest camp, just a mere 9 kilometers. It is situated in a lovely scenic area and is 164 kilometers from Makhado. 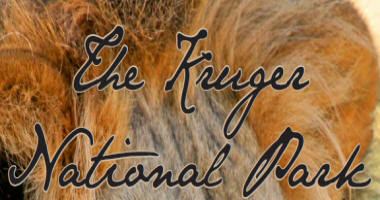 Below you will find a list of the distances from the Punda Maria Gate to other areas within the Kruger National Park.